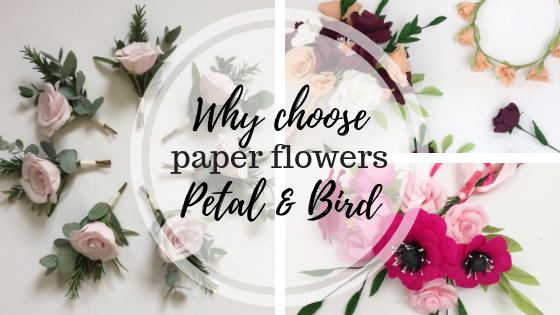 Why choose paper flowers from Petal & Bird? Nature has inspired me my whole life- throughout university where I trained to be a Textiles Designers and in my teaching career as an Art and Textiles teacher, Nature is and always will be an inspiration to me. 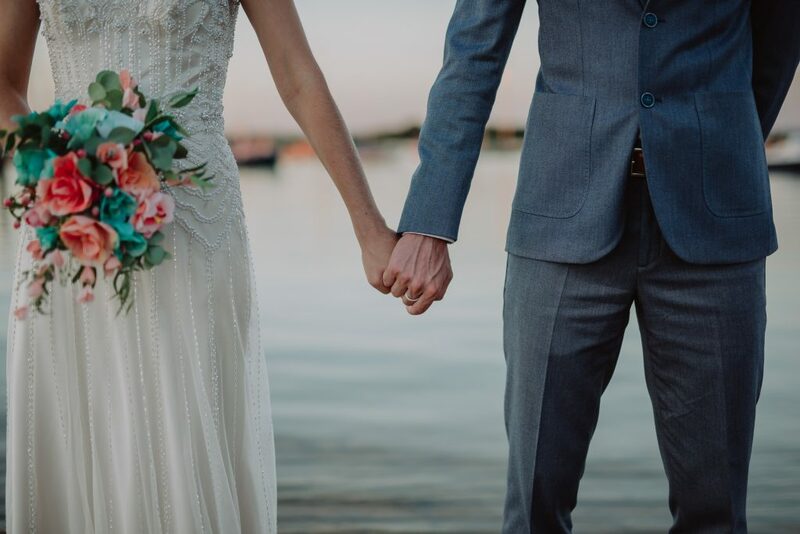 Choosing to have paper flower at your wedding or special event is a great alternative and means that your flowers will live on after your day and for many many years to come. 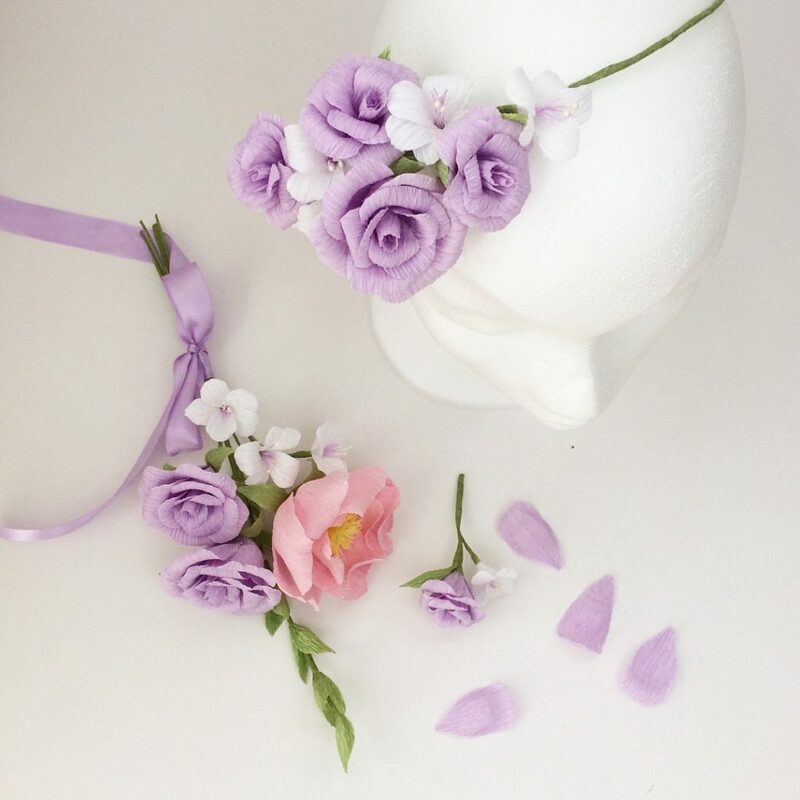 You get to choose exactly what flowers you would like and own something totally unique, handcrafted and made especially for you. I use real flowers as my inspiration but we can play with different colours to make them match your colour schemes and details. Wanting non seasonal flowers? Hey presto you could have daffodils in winter and then all year round to add sunshine to your day. 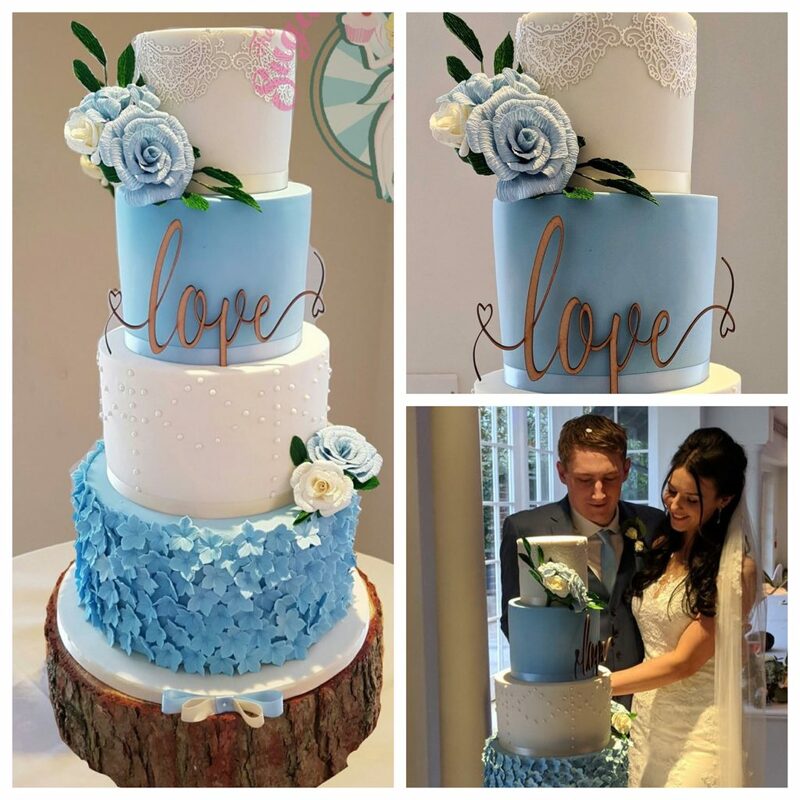 Using paper flowers on your special day provides you with a custom colour palette to make all your unique finishing touches come together. Not only do they look beautuful in Bridal bouquets have you thought about accessories for your bridesmaids and flowergirls? 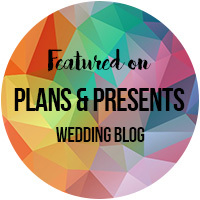 They could be walking down the aisle in flower crowns or hair accessories and posies that they will be able to keep as a special gift and reminder of that moment. Something they can treasure forever. Let’s not forget about the boys. 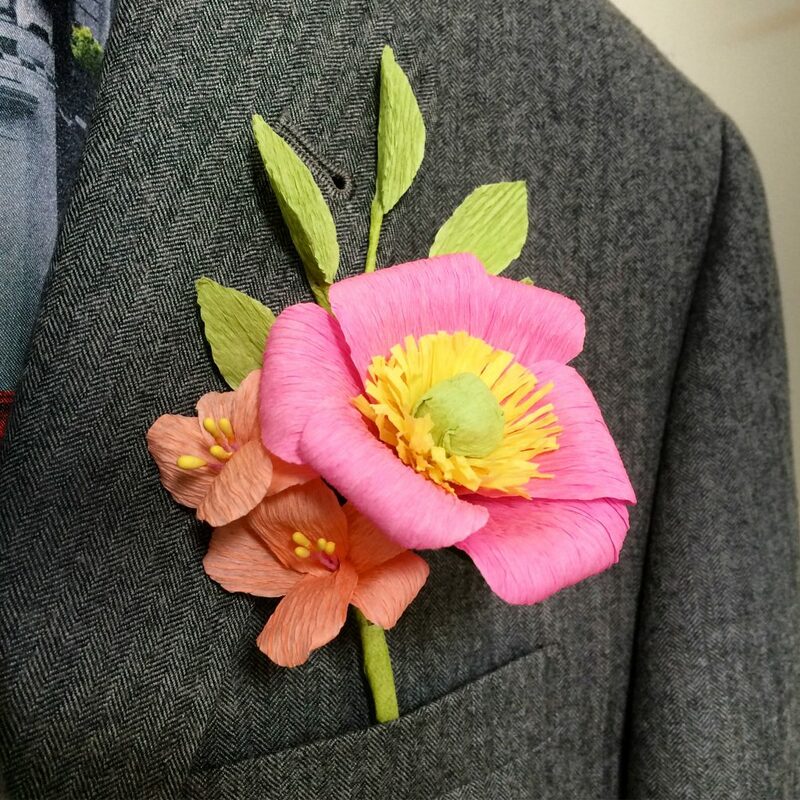 The Groom and his groomsmen not forgetting the Father of the bride could all be wearing paper flower buttonholes and matching smaller versions for the paige boys. Who doesn’t love a splash of colour and uniqueness? 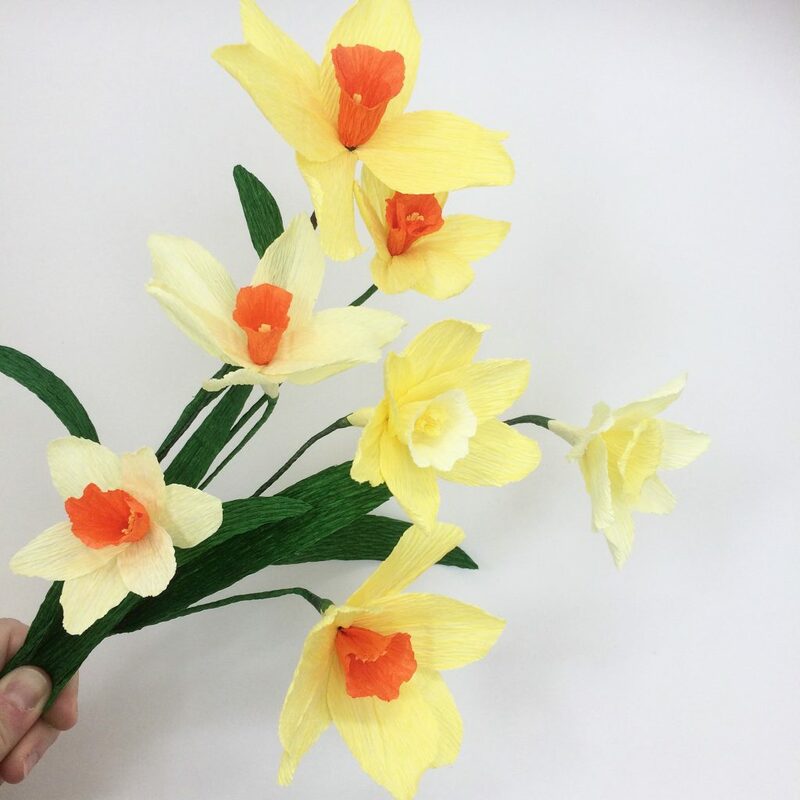 There are so many options when it comes to paper flowers as they can be used in many different ways and arrangements. 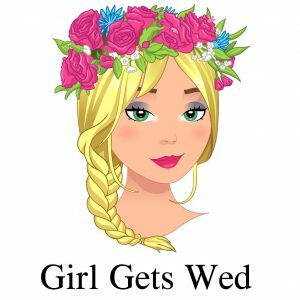 Bouquets, buttonholes, wrist corsages, flower crowns, cake decorations, aisle and chair decor. Added to your seating plan, or on your tables, a unique favour of a single flower personalised with your guests name and laying by your guests napkin. 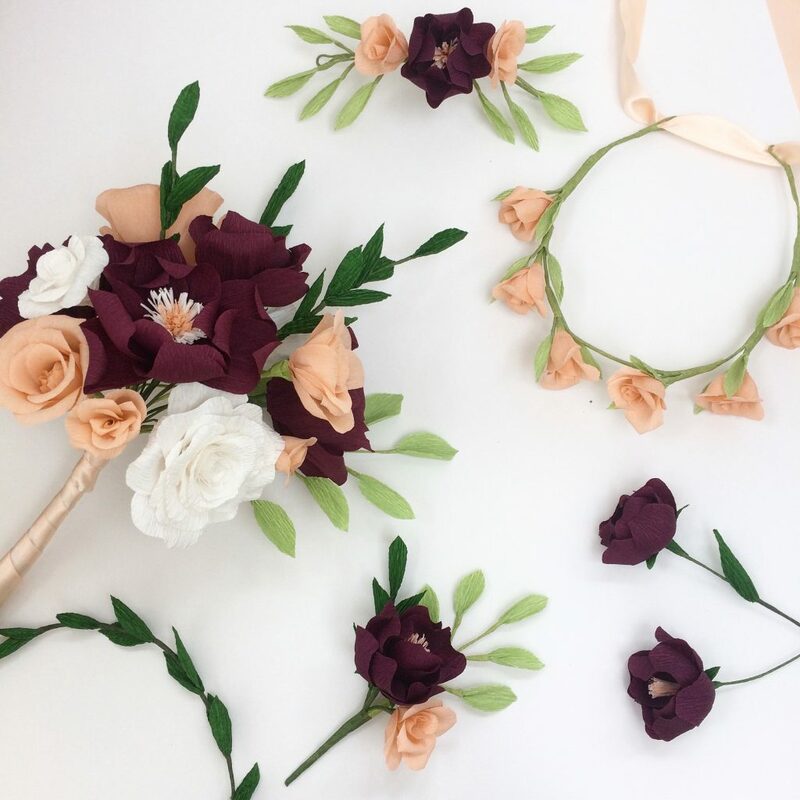 Arranged into flower hoops or wreath, even go crazy and commission a flower wall for a great backdrop to your photobooth! 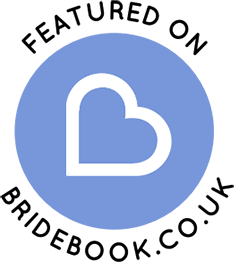 Petal and Bird will work with you to create something special and unique for your event. 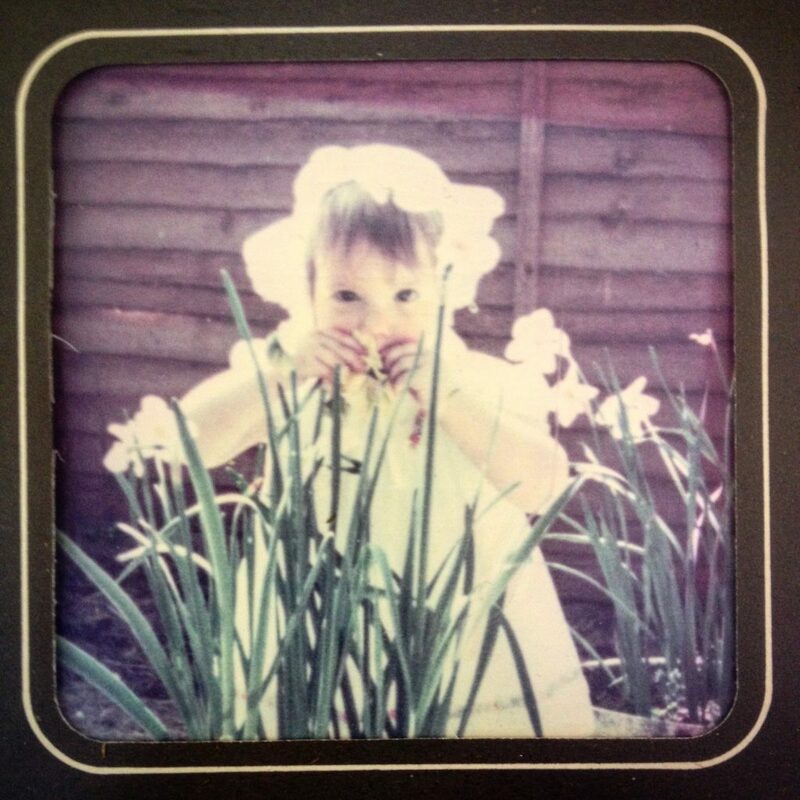 Getting married abroad…Although they are delicate my flowers are also pretty robust. Where your real flowers would have wilted on a hot summers day or died within a fews days to a week, your paper flowers will continue to bloom. A recent commission for bridal accessories made their way safely to a beautiful beach wedding in Jamaica. 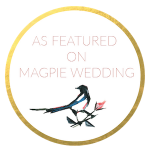 The Bride wanted to add a splash of colour to her day that also matched in with the flowers the venue where using to dress the ceremony. 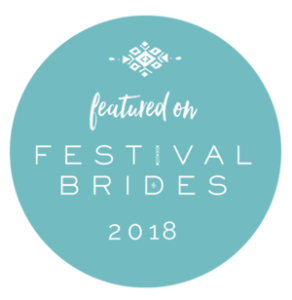 It was so lovely to see photographs of the Bride wearing her orchid, rose and blossom paper flower crown on her wedding morning and then throughout the rest of her day playing on the beach and drinks by the pool! 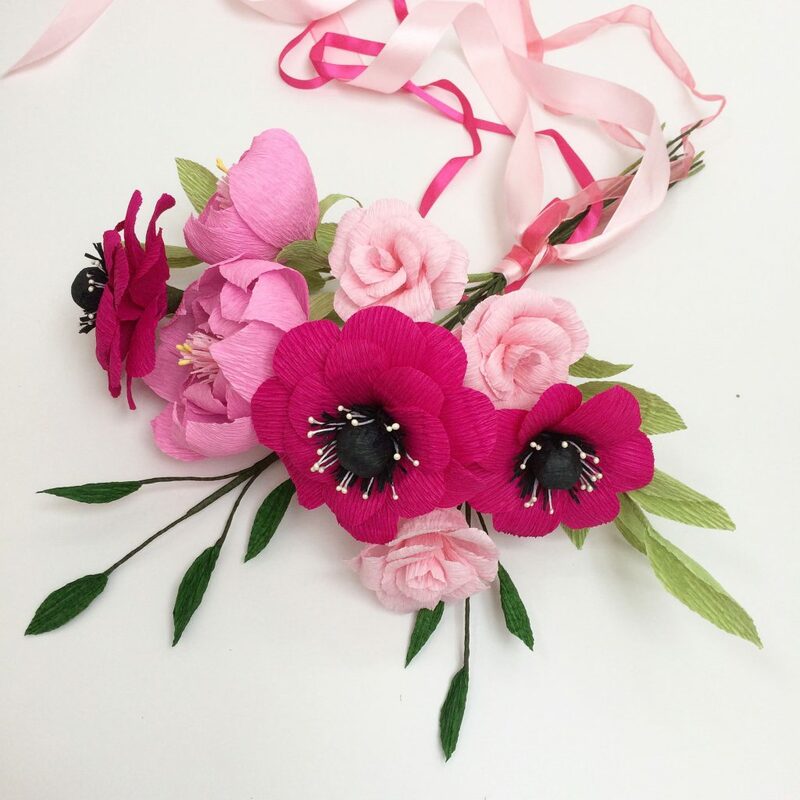 “Clare is so talented at what she does, creates beautiful flowers with amazing attention to detail. 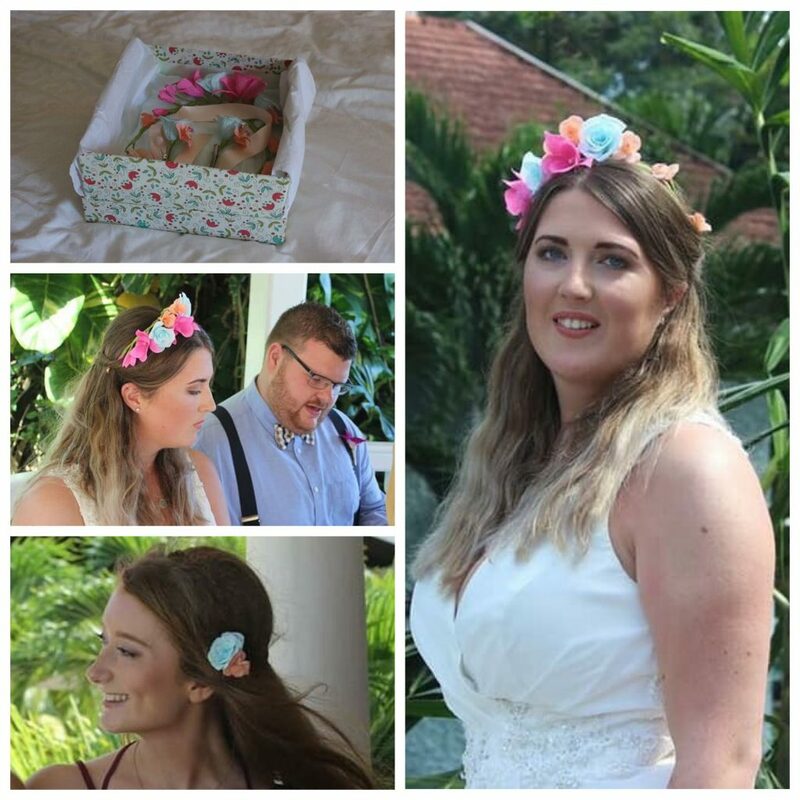 The flower crown I ordered for my Jamaica wedding was beautiful and so comfortable to wear! Would highly recommend Petal & Bird for anyone who is after something a little bit different and original ..and the best part is, I get to keep them forever. 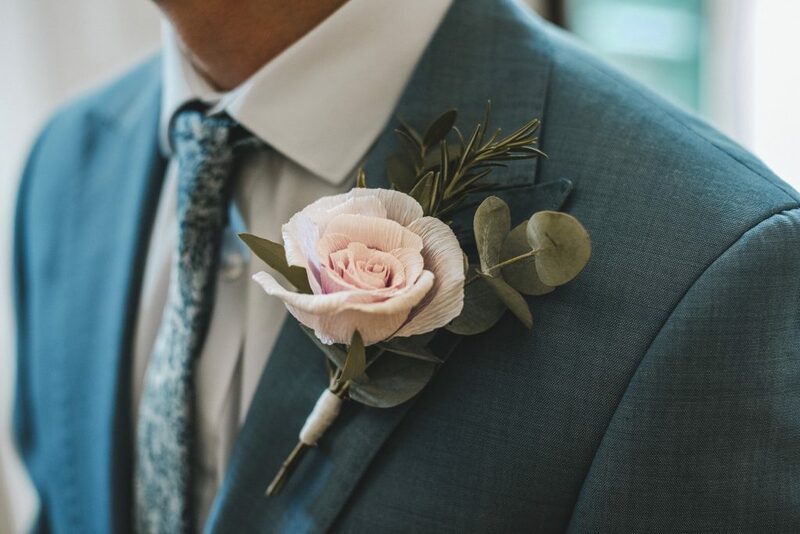 If you still wanted to have the option of real flowers, you could have a selection of paper flowers made for you to fit within your bouquet or buttonholes for your own florist to arrange. 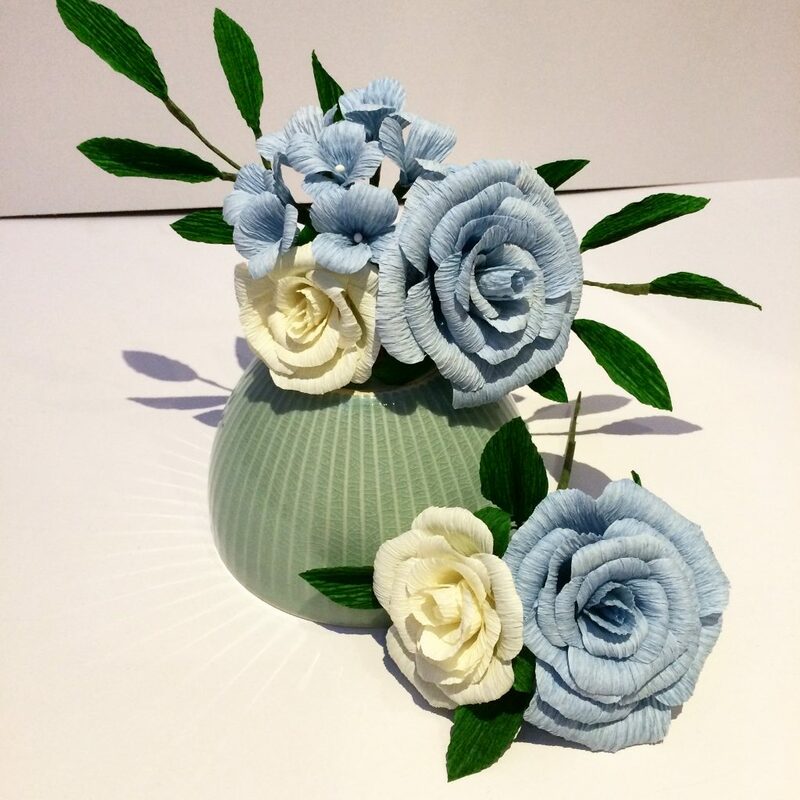 You get the feel of the traditional real bouquet alongside a collection of paper flowers as the perfect keepsake. Combining real foliage with paper flowers adds another dimension. 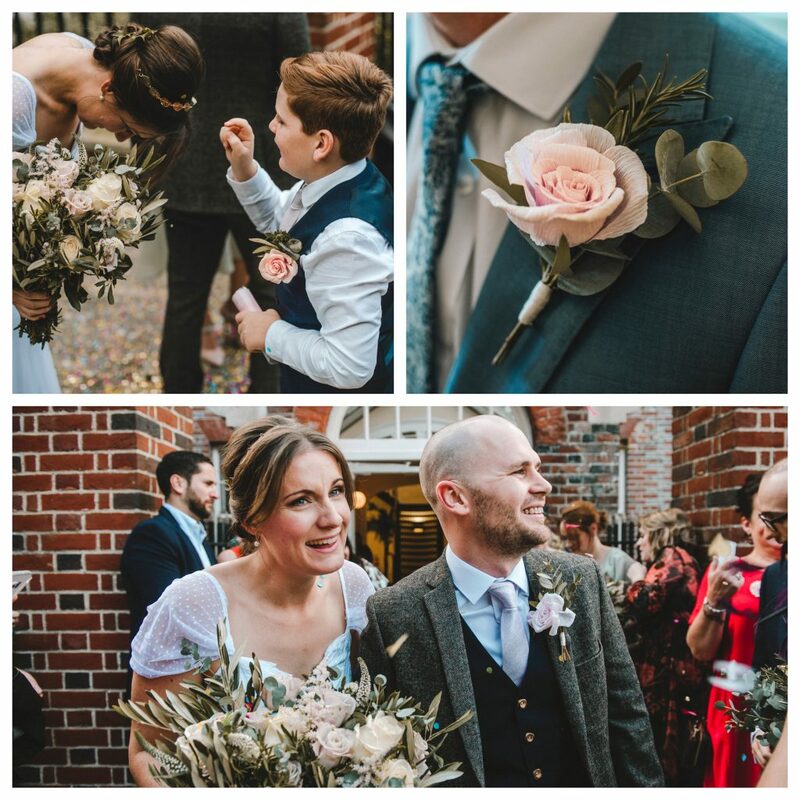 Another commission for a range of buttonholes were designed to match in with the brides real flower bouquet using eucalyptus and rosemary. The smell was amazing! Petal and Bird’s paper flowers really will last a lifetime, as long as you remember NOT to water them, keep them out of direct sunlight and occasionally fluff those petals you can invest in forever flowers. 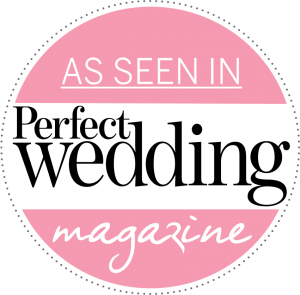 Please do contact me for more information, for a no obligation quote or to book your free consultation at my studio in Chichester, West Sussex as I would love to hear about your wedding plans and how we can create something special for your big day or event. Beautiful. Thank you for the ‘happy’ colour inspiration. What a lovely creation! And a memory that you can keep Always… Thank you so much for sharing!